A conference call between Japan and Italy will be held in honour of the relationship between Jujiro Wada and Felix Pedro. The conference call will be based from Soga Elementary school in Ehime (Japan) and an elementary school in Fanano (Italy). Although these schools had not been built yet in Wada and Pedros Era, they are in their respective home towns. The Cultural exchange’s focus is to expand on the relationship Wada and Pedro formed during the gold rush at Tanana river in Fairbanks, Alaska. The students will be encouraged to share their cultures and difference of opinions with one other, strengthening the bond between our two countries. Mikio Ueoka, a representative of JWMA, commented that “As a preparation for that, on 16th October , we introduced Jujiro Wada, Felix Pedro, and Fanano to the Soga elementary school students at the gymnasiums. And，Ms.Setsuko Kaida, director of Mikan Ichiza, who wrote about Jujiro in the moral textbook talked about Jujiro Wada. 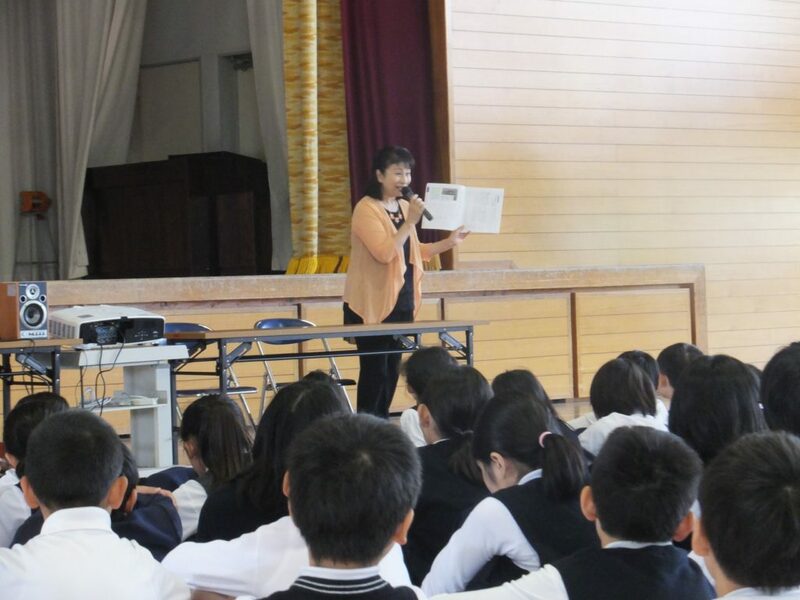 Children introduced City of Matsuyama and the Soga school and Noriko Kan translated it. 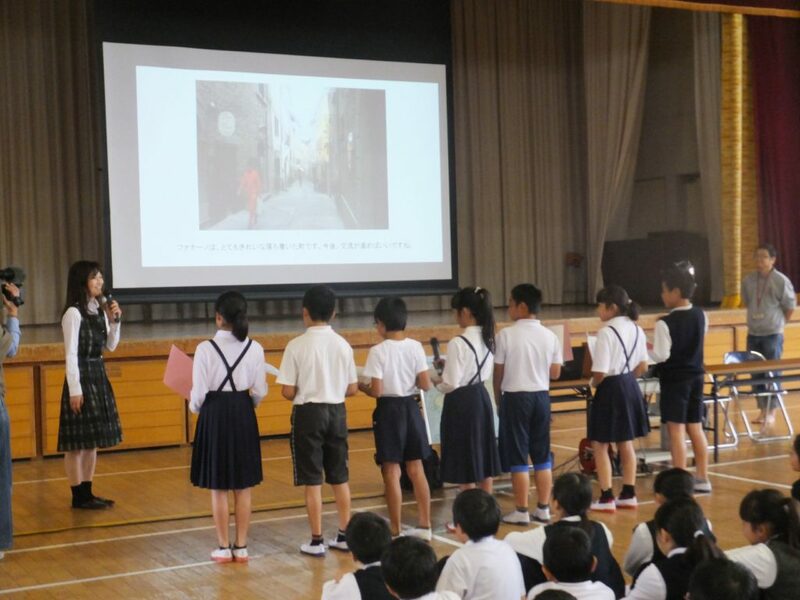 Children of the Soga elementary school and Fanano elementary school will study their hometown and their school and Pedro and Jujiro. The Event that lead to this cultural exchnge event. In 1903, Jujiro Wada together with Italian immigrant Felix Pedro in the Tanana plain uncovered the gold mine. This is “Tanana Stampede” in Alaska Pioneering History.Ms. Noriko Kan and Mikio Ueoka met with Pedro’s researcher Massimo Turchi in Pedro’s home Fanano in September, 2017, and also participated in the symposium. 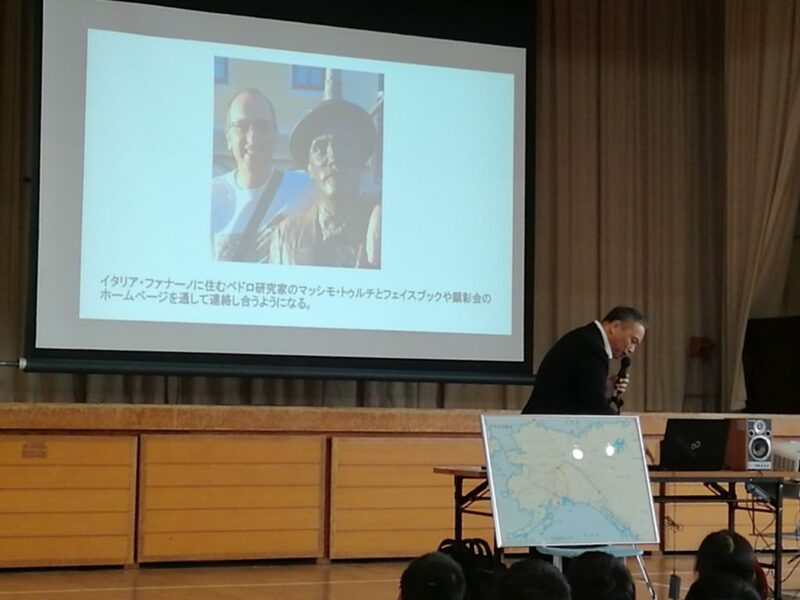 At that time, it was suggested that Mayor of Fanano want to International exchange with Jujiro Wada`s hometown elementary School and Pedro’s hometown elementary School. 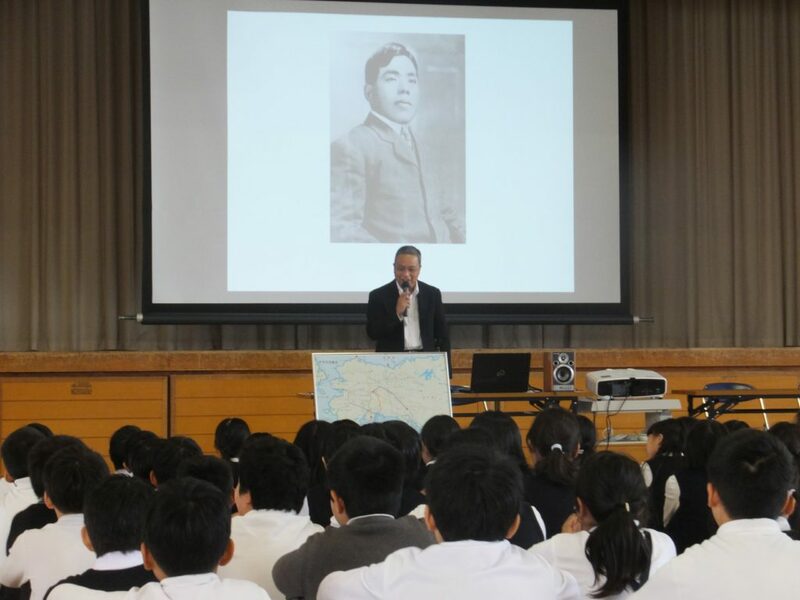 So, in order to realize that promise, the Fanano elementary school and the Soga elementary school in Hinode　town,Matsuyama city where Jujiro was raised, will be scheduled exchange lesson on November 30 , while using pictures and photos through Skype. The events of Cultural Exchange between Italy and Japan was covered by Ehime News Paper.